DSCN0868, originally uploaded by Prince of Petworth. This was a great scene. 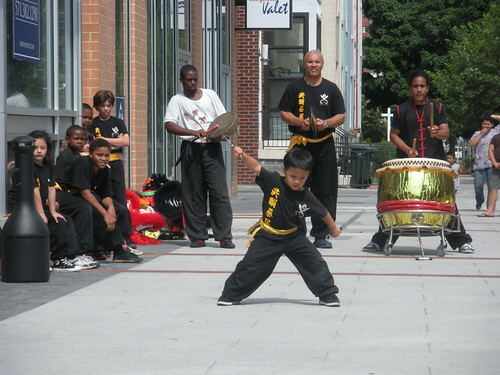 There was a martial arts demonstration outside Eatonville at 14th and V Streets NW on Friday afternoon. I think they’re part of the martial arts studio on U Street around the corner. This kid couldn’t have been older than 4 or 5. He gathered quite the audience during his performance.